I enjoyed the latest Avengers movie (“Age of Ultron”). This original graphic novel was a much better story. The art of Jerome Opena was near perfect. The Avengers have had many great artists and Opena deserves to be on that short list. His art was a perfect fit for Rick Remender’s story. Remender seems to be channeling the spirit of one of my favorite Avengers writers-Steve Englehart. The characters seem to be similar to a team that Englehart would assemble. And the ending was heartbreaking. 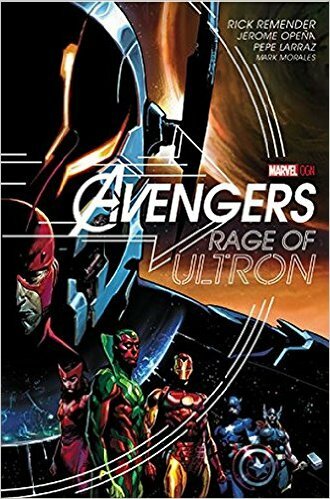 Great characterization, great plotting, and great art combine to make this original graphic novel a classic addition to Marvel’s line. 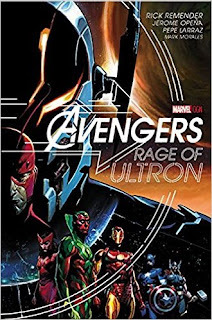 The downside to this is that I want to see where Remender would take the story next. Unfortunately he is not doing any work for Marvel over the next 12 months.